You are planning to hold a meeting or a seminar and are looking for a suitable location? 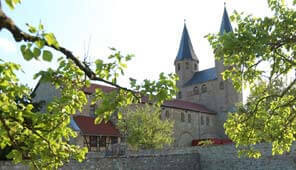 Then the Protestant Monastery of St. Augustine in Erfurt offers perfectly equipped premises within historic atmosphere. 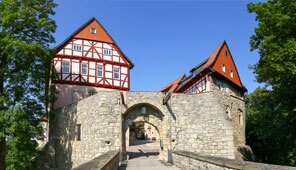 Hold a meeting in a unique manner inside ancient walls and feel the medieval charm. 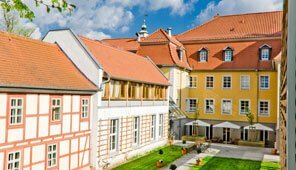 Furthermore, the Protestant Monastery of St. Augustine in Erfurt offers the ideal location and equipment for any conference or seminar. Meet with up to 200 people in one of the ten conference rooms or hold a smaller meeting with up to ten people inside the picturesque ‘Green seminar room’. The team of the Protestant Monastery takes care of your creature comforts and catering. 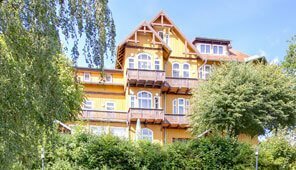 Furthermore, overnight accommodations at the guest houses on the monastery grounds can be used by your conference participants. That way nothing can affect your productive and focused conference weekend at the conference house surrounded by monastic atmosphere.